We need help getting the message from the indigenous communities at Standing Rock to the UK next month, so they can tell their story and share how Indigenous people are coming together globally to protect the Earth. Hi! We're Illumina Studios, a small production company from the UK. We tell stories through film and television and our mission is to raise consciousness about social issues and environmental responsibility through the media. We aim to share the story from Standing Rock with people here in the UK... starting at Glastonbury Festival and travelling to other locations across the country including schools, colleges and community centres as well as on TV and in the news. Launched during Earth day, the film Awake: A Dream From Standing Rock has already touched many hearts in the US, and we now want to share it's powerful message here in the UK. 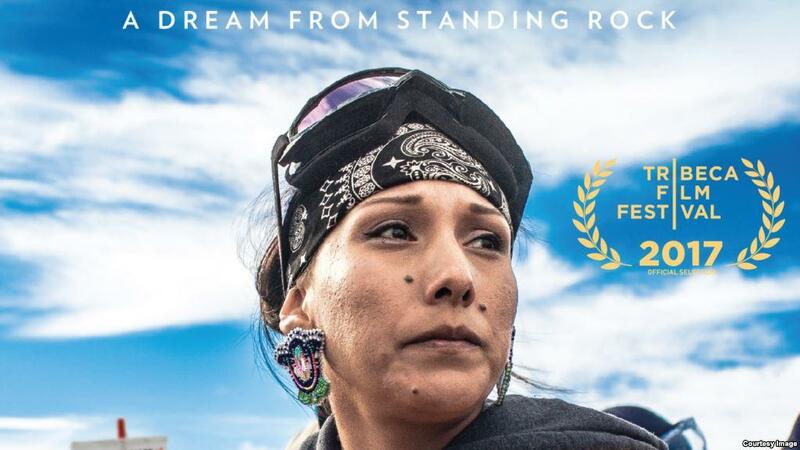 It's just premiered to great reviews at Robert Di Niro's Tribeca Film Festival in New York so it's fantastic that the water protectors would like to bring it here! We have been invited to bring them to share their message at Glastonbury Festival this June! This event aims to brings together people from all walks of life with whom we want to share the message and the story of Standing Rock camp. We are honored to be invited and excited to participate, however, Illumina Studios is almost entirely self-funded through our screenings and other feature films. We are asking for your support to bring two messangers from Standing Rock to the UK and back and also to put up a "Conscious Film Screening Tipi" at Glastonbury Festival as part of our "Candlelight Cinema" inspirational film screenings initiative where we can share our message. Anything that you can chip in will help us with our travel costs and with erecting our tipi, which add up to over £3.500 would be fantastic! We've covered the majority of costs ourselves to get this far but need this last bit of support to help get us over the line. WE NEED HELP GETTING THERE. We want to help the water protectors go to the UK to share their story about how Indigenous people are increasingly coming together around the world to help protect life for future generations. The story of Sacred Stone Camp, which brought together for first time indigenous people from around the world to protect the water, our communities and the Earth. Their story, has inspired many people to date and we want to continue doing so. Please helping us to do this by supporting us to attend Glastonbury Festival and other communities throughout the UK. Thank you!